IF there's one entrepreneur capitalising on Australia's thriving hospitality industry, it's Dimmi's Stevan Premutico. More than one million Australians are dining with Dimmi every four weeks. The online booking platform represents about 10 per cent of all dining reservations in Australia and has more than 3000 restaurant partners. Sydney-based Premutico, a former Hilton marketing director and graduate of APM College of Business and Communication, launched Dimmi in the middle of the GFC while living in a friend's attic. He left his job in London where he introduced Doubletree by Hilton and Hilton Garden Inn brands into the European market and was responsible for a portfolio of 30 hotels. Even still, Premutico felt there were bigger fish to fry. He knew instant bookings and review platforms weren't going away anytime soon and wondered why it hadn't taken off in the Australian hospitality industry yet. "The idea behind Dimmi was simple - to create better dining moments for thousands of customers and help restaurants run a better business" says Premutico. "It took me a year to come up with a name for Dimmi and I could never work out the right name that represented what we were about. "I was sitting in a café in Leichardt and the waiter said 'dimmi, dimmi' - I asked what it meant and he said 'tell me in Italian'. It was a lightbulb moment as helping Australians is the aim of our game." He tried to tell the world, but Premutico says venture capitalists didn't want to hear anything about Dimmi at the time. Premutico persisted, even turning down a 'dream job' to work for Richard Branson, based on the belief he was sitting on a multi-million dollar business. "Very early on in my journey when the GFC hit, I was turned down by more than 30 venture capitalists and spent a year broke and sleeping on friends' couches," says Premutico. "The best advice I have for those keen to chart their own path in business is be brave, back your ideas, seek the best education you can and remember that many of life's greatest moments happen around the dinner table." On top of this, Premutico believes many of life's greatest innovations come from looking at outside industries. This led to Dimmi's latest development, a yield system, which was rolled out two weeks ago. "It's the first of its kind in Australia and really morphed out of yield management, which is a booking and pricing strategy that hotels and airlines have used for the past 15 years," Premutico tells Business News Australia. "It's pretty crazy that restaurants charge the same price on Sunday night at 7:30 as they do on a very quiet Tuesday night. Dynamic pricing is critical and you should be adjusting your rates to match demand. 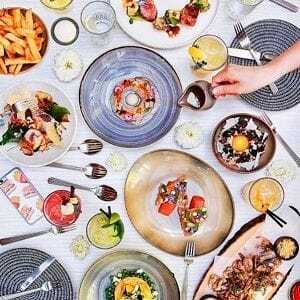 "We think it will be a game-changer for the Australian restaurant industry. It was born out of my experience in the hotel sector, but also the TripAdvisor acquisition. For those who didn't do this in airlines, it really sent a few of them bust - that's the significance of yield management." The TripAdvisor acquisition in May this year has supercharged the Dimmi brand. Premutico anticipates that 25 per cent of restaurant reservations in Australia will be made via Dimmi in five years, in line with the company increasing its bookings 135 per cent year-on-year since it began seven years ago. Despite the proliferation of food delivery apps like UberEats, Deliveroo and Foodora in Australia's major cities, Premutico says Dimmi's biggest competitor is still the telephone. Dimmi will launch a number of new partnerships in the coming months as it looks to cement itself as the premier platform in our hospitality industry.